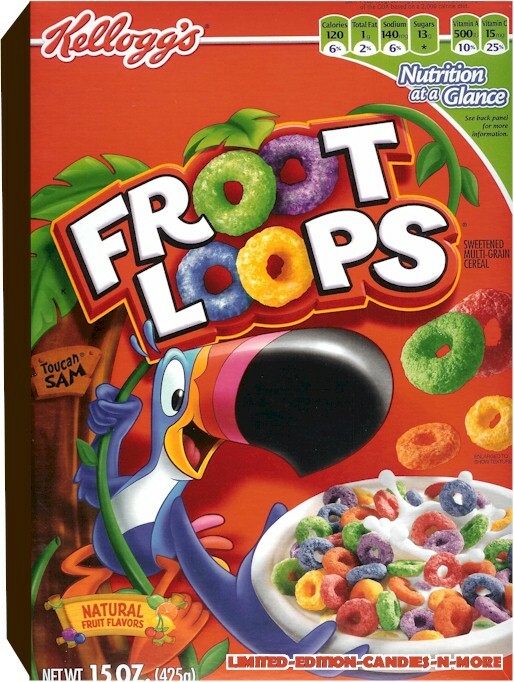 Is Obama’s Testing Action Plan, like Fruit Loops, part of a nutritious breakfast? Don’t believe the hype. Obama’s “Testing Action Plan” declares a reduction in standardized testing! Is less testing a good thing? Yes, of course it is! But what are we getting in its stead? The privatizers are hoping we aren’t asking that, or hoping we won’t look. But we are looking and we are asking. These are the same folks who are driving the policies to privatize public education. What do they gain for reducing testing? Our trust? It makes them look good. And they hope it gets “us” off “their backs.” But what are we getting in exchange for this? Remember…the same folks crafting test and punish want to privatize public education. That is their goal. We are getting rid of over-testing – yes….that is good. BUT … In lieu of that we are now going to have states outsource the “innovative” outcomes-based assessments to the edu-tech industry. Their mission accomplished. Federally mandated testing was getting too much heat. So they’ve built a better mouse trap. One they hope we will not recognize. If the reduction or elimination of federal standardized testing were the GOAL of United Opt Out National we would find greater cause to feel hopeful. But we believe that HST was/is merely an instrument toward privatization (profit) and therefore testing refusal is a strategy to dismantle corporate reform. But corporate reformers have not put down their weapons. They have changed weapons…and strategy. Our goal is not ending testing. Our goal is protecting children, public schools and democratic educational practices. And so our fight wages on with a new face. Remember CCSSO? They are the ones who crafted the Common Core State Standards. The standards were developed to create a “standardized” system that allows third-party companies to develop systems for outsourcing education. Now with a set of “national” standards as benchmarks, instruction can be metered out by online edu-tech companies who provide new “competency” based instruction and assessment. No teacher required. EXTERNAL assessment experts. Why? State depts of education already hire folks with years of experience and/or PhDs in curriculum and evaluation. WHY do we need “external” experts? Who are they? And who defines their “expertise”? Researchers: Think-tanks funded by the corporations who profit from their “recommendations” like Alliance for Excellent Education who promoted the NH policies touted in the TAP. Also, Knowledge Works , who wrote a policy brief back in 2013 promoting “competency-based” policies for the role of the U.S. Dept of Education. Or, CCSSO Innovation Labs: “The goal of the ILN is to spur system-level change by scaling locally-led innovation to widespread implementation” Innovators: For-profit enterprises who receive your tax payers dollars to have your child’s educational services outsourced to them. And here’s that ”next generation” language again (stated in TAP) mirrored from Alliance for Excellent Education (2013): “… the Partnership for Assessment of Readiness for College and Careers and the Smarter Balanced Assessment Consortium are working to develop next generation assessments, as well as real-time digital assessment systems, all of which are aligned with the new the Common Core State Standards. Removal of Barriers: Thanks ALEC. Monies will be directed toward private companies who will be hired by states to implement online education and assessment services. What This Means: Computers will determine what children should learn, how they learn, why they should learn, and who they are as learners. What they call it behind closed doors is PROFITS AND PRIVATIZATION. Alexander’s ESEA revisions are leading the way. Sure, it’s hard to imagine that schools, especially in well-off suburban neighborhoods would permit their teachers to be replaced with technology. Or their children’s education to be outsourced to online companies. But more and more technology is infused with classroom learning and its becoming “normalized” gradually. Some states require kids to take at least one on-line course in high school. But the best weapon privatizers have at their disposal is our disbelief that “it could happen.” The words “that’ll never happen” are the hallmark of nearly every horrifying affront to democracy and human rights we’ve seen happen in modern history. I go with what history has to show. “Only history itself can convince you of such a truth. And once you’ve seen that truth-really seen it-you cannot look way” (Kostova, 2005). Who is bending the ear and wallet of YOUR STATE-LEVEL POLICY MAKERS to determine WHAT performance-based assessments will look like? You? Or, the corporations who are in bed with ALEC (which meets with state legislators behind closed door to craft model legislation)? How often do WE get to meet behind closed doors with legislators? Who do you think they will LISTEN to? Judging by the PARCC math questions this is a disaster in waiting. I was listenig until the point that you said “we believe”. Meaning you have no proof and this is a conspiracy theory which I am not interested in. Parents should be going ballistic ! This is so evil, it’s not about teaching our children, it’s about indoctrination. Parents should pull their kids out of school and sue the hell out of them. ALEK instructor,Whelan, does not lecture. What would be the point, when no two students are studying the same thing? Instead, she serves as a sort of roving tutor, moving from one student to the next as they call on her for help. A teaching assistant is also on call to help those who get stuck or to verify that they’re ready to take their next test. As the students work, the software logs everything from which questions they get right and wrong to the amount of time they spend on each one. When Whelan’s online dashboard tells her that several are struggling with the same Math concept, she’ll assemble those students and work through some problems as a small group. The result is a classroom experience starkly different from the model that has dominated American education for the past 100 years. Almost everyone who thinks seriously about education agrees that the antiquated “sage on a stage”—is flawed. They just can’t agree on what should replace it. Flipped classrooms? Massive open online courses? Hands-on, project-based learning? While the thinkers are arguing, textbook publishers are acting. With their traditional business models under pressure, they’ve begun to reinvent themselves as educational technology companies. They’re selling schools and colleges on a new generation of digital courseware—ALEKS is just one example—that takes on much of the work that teachers used to do. The software isn’t meant to replace teachers, they insist. Rather, it’s meant to free them to focus on high-level, conceptual instruction. Whelan’s pre-algebra classroom is a glimpse into the near future—not only for community college math classes, but potentially for wide swaths of K-12 and higher education in subjects ranging from chemistry to Spanish to social studies. Software like ALEKS, according to its proponents, represents the early stages of a technological and pedagogical breakthrough decades in the making. It has the potential to transform education as we know it, and soon. Before that happens, though, it’s worth at least asking the question: Is that something we want? “How the ALEC stole the Public from Public Education.” A school board talk by Andy Goldstein. December 16, 2015.